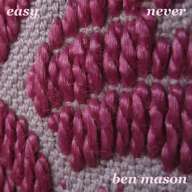 We’re featuring today Ben Mason, vocals and guitar of australian indie pop revivalist The Smallgoods. As a solo project, in 2009 he recorded Acapulco, a cover EP with songs by six of his favourite Australian bands ( Crayon Fields, Dappled Cities, The Zillions, Midstate Orange, Ned Collette and Pikelet ) – completely a cappella – now available as a free download on his bandcamp, where you also can listen to his new interesting project that is the re-recording of The Zombies’ classic Odessey and Oracle in its entirety, meanwhile progresses can be followed on tumblr. 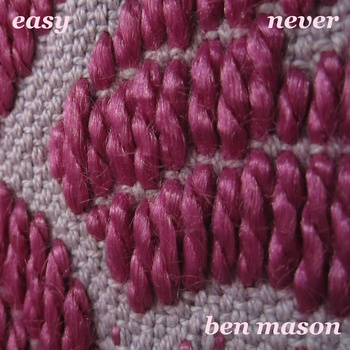 Ben is also releasing his original music in an clever way, getting his songs out as soon as they’re ready, as digital singles on Bandcamp and Easy is the third shiny single released this year. Enjoy and get ready for summertime! Frittata. It was really good too! Chocolate. I gave it up at the start of the year, but I fell off the wagon two days ago. Anything musical. Microphones, percussion, keyboards. Anything i can get my hands on. I always end up using it on at least one song! Favorite. I love that word. We spell it with a U here. Ufavorite. Great word. The man that mistook his wife for a hat – Oliver Sacks. Which ever song is playing in my head when i wake up. Sometimes it’s good. Sometimes it’s terrible! That one that goes.. “summer breeze, makes me feel fine…. something something… circles of my miiiiiind”. Google. It has heaps of stuff on it. I think if an artists wants to give their music to people for free, than that’s great. If they don’t, then you probably shouldn’t try and steal it from them. I like the idea of Creative Commons. I don’t know a lot about it, but what i do know, i like. Brixton Academy is pretty good. The Opera House in Budapest is pretty good too. Ouch, what a question! Too many to choose from! Seeing the Screaming Trees in London was pretty amazing. Double ouch!! Let’s see. I spent 6 weeks in Italy recently. my first time there. everywhere we went blew my mind. I’ve been to Berlin 3 times in my life and it gets better every time. that would have to be up there. I also lived in Turkey for 4 months. that’s a pretty amazing country. …can i come back to this question? In bed. No more waking up on the floor!